The government of Madrid has launched a Web site listing details on public land for sale, hoping to spur interest from developers and investors. 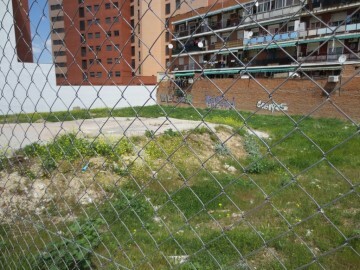 The site — www.madrid.org/suelo/en/ — is presented in English and Spanish and includes a range of information on each plot available, including the planning category, size, tax numbers and controlling agency. Maps and street views are also available, but prices are not included. “With this tool the community brings to the table its entire range of land in order to facilitate the development of projects for industrial, logistical or residential property and promote growth and job creation in the region,” the Minister of the Environment and Spatial Planning Borja Sarasola told OPP. The Madrid government has been actively trying to sell property as it looks to raise revenue, including the auction of government buildings, which will be leased back to the government. The new Web site, the “land for sale information network,” gives interested buyers a quick menu of the public land available in the community. Users can search by type of land, location, planning category and other variables. Although there is vast supply of all types of property available in Spain, developers and investors are increasingly showing interest in building in specific areas where there is still demand, but limited supply. A recent report suggested interest is particularly high in big cities. “We are working to help developers and entrepreneurs and in general to all those who have a project and want to invest in our region,” the site says.